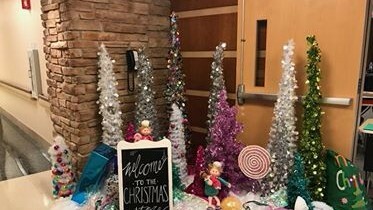 The Christmas Store, a partnership between Newday SDA Church, Parker Adventist Hospital and Parker Hospital Foundation provides a Christmas experience for families who don’t typically qualify for other holiday services in our community, but who also would not otherwise have Christmas. We partner with 12 public schools in our community to identify these families. Once they arrive at the Christmas Store, wide-eyed and excited children are paired with a personal shopper to choose from a variety of appealing gifts for every member of their household, including themselves. Once gifts are selected, the child, along with his/her personal shopper, goes to a wrapping station to choose wrapping paper for each gift. Children are then escorted as a family to their parents and accompanied to their cars by a Christmas Store volunteer, who offers to help carry the bags of wrapped gifts. 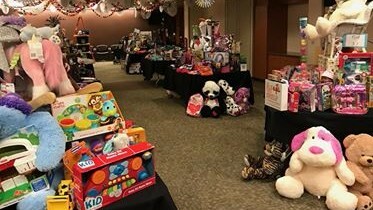 In addition to blessing these families, the Christmas Store has become an experience in which the Parker community comes together to serve. Organized by Newday, the nearly 200 volunteers needed to operate The Christmas Store come from Newday, Parker Adventist Hospital, Parker Hospital Foundation, Parker Police Department, and Parker Chamber of Commerce. The Boulder Church Wiser Generation Banquet has not yet incorporated the local youth as chefs or servers—although that might change in future years. Food and service for the past two banquets have been provided by noted Boulder catering service Spice of Life. Pastor Japhet brings Christmas crackers and English sweets back from his annual pre-holiday visit to his parents, and Becky opens the party with what she calls a “speech.” Many of the participants refer to it as “a stand up comedy act.” Very little entertainment is needed—everyone is delighted to chat around the tables with old friends and new acquaintances—but Boulder Chamber Orchestra, which performs several concerts each year at the church, offers a quartet of musicians to provide thirty minutes of beautiful music. No one seems to object! 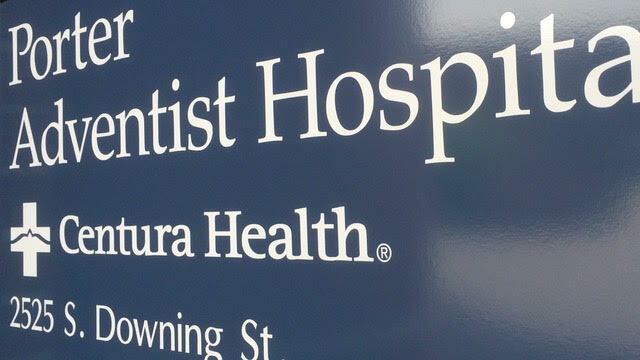 Porter Adventist Hospital: An 87-year legacy » The Porter Adventist Hospital legacy began 87 years ago when Henry Porter recognized the value in holistic health care after receiving treatment at two Seventh-Day Adventist sanitariums. His experiences at these sanitariums changed his life and the face of health care in Denver forever. The treatment he received in both facilities was unlike anything he had experienced before. Even more remarkable was a letter Henry received from the bookkeeping clerk at the Paradise Valley Sanitarium. The clerk sent an apology for overcharging Mr. Porter and enclosed a $0.45 refund check. The care he received left such an impact on him that he became committed to opening a similar facility in Denver. Founded in 1930, Porter Adventist Hospital (PAH) has provided people throughout Denver and surrounding communities with compassionate, personalized health care. Today, PAH is an award-winning regional medical center that specializes in advanced surgery, complex medicine and life-saving emergency care. PAH is a full-service Magnet® designated, 368-bed acute-care referral center and a leader in joint replacement, spine surgery, organ transplant, behavioral health, cancer care and innovative cardiac treatments. The hospital has received numerous awards and honors including: 100 Greatest Hospitals in America by Becker's Hospital Review for three years in a row (2015-2017); the number two hospital in the state by U.S. News and World Report; Healthgrades Distinguished Hospital Award-Clinical Excellence™ for three years in a row (2015-2017); as well as many others. PAH is well known for the distinctive services provided to patients throughout the Rocky Mountain Region. The accredited cancer program offers standard comprehensive services, PET-CT diagnostic scanning, advanced radiation therapy, genetic counseling, complimentary therapies and more. The Porter Center for Joint Replacement is one of the largest programs in the region and has an international reputation for research and surgical excellence. PAH’s transplant program has performed more than 2,000 organ transplants, including kidney, kidney/pancreas and liver transplants, since its inception in 1986. The award-winning, full-service Heart and Vascular Institute offers comprehensive care from screenings and diagnostics to minimally invasive heart surgery. The vision at Porter Adventist Hospital is to embody "the best of science and spirit," a mission that is proudly displayed to the community. The team’s primary focus is nursing excellence, but their journey also reflects transformational leadership, shared governance and teamwork, exemplary professional practice, use of new knowledge, innovation and research to achieve exceptional outcomes in patient care. members of the Men's Dorm headed to Simpson Ponds on December 3 to clean up trash around the ponds in response to the Men's Dorm focus on looking out for others..
Their dorm discussions have explored what "looking out for others" means and have led to upper class men looking out for lower class men, and all Campion's young men looking out for our community. The guys had positive interactions with folks who were there fishing, and the regional Division of Parks and Wildlife officer expressed gratitude to the Campion young men for their selfless work. "I really enjoyed getting out in the community and focusing on helping others rather than myself. I find that doing acts of service fills me with selfless joy," said one participant. 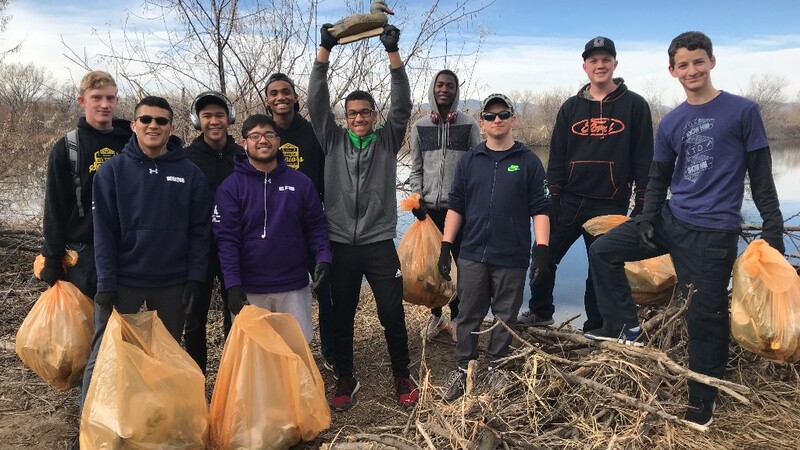 The students plan to continue encouraging their fellow students to look out for others rather than themselves, so more types of community service would be a good bet. Vista Ridge Academy's Sandy Hepp Commissioned » Sandy Hepp, kindergarten teacher and director of the early childhood program at Vista Ridge Academy, was commissioned at Boulder Adventist Church last Sabbath, December 9. "It was a great honor to recognize Sandy Hepp with a Commissioning service in her home church, Boulder Adventist Church. 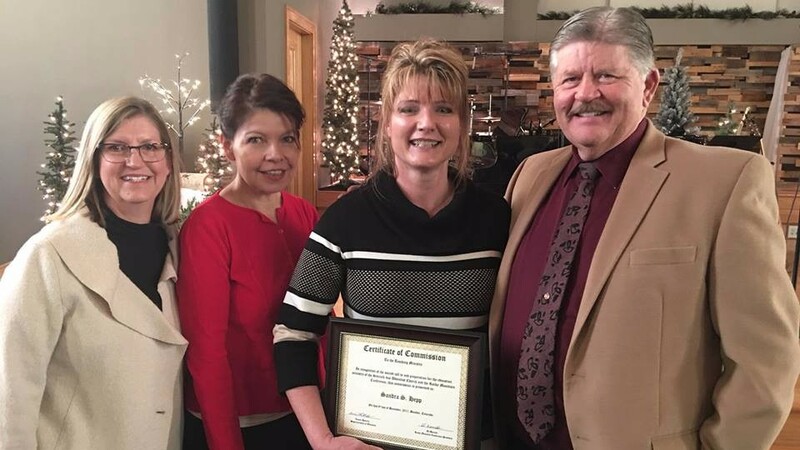 Sandy represents a Master teacher and it is not only her professionalism, dedication and years of service, but her love for Jesus that is reflected in her love for her students," commented Diane Harris, RMC associate superintendent of education. Sandy is the third commissioned teacher at Vista Ridge Academy. She began teaching at VRA for the 2014-2015 school year. After attending Brighton Adventist Academy and graduating from Campion Academy, she obtained a dental assisting certification with EDDA. She always wanted to be a teacher, she remembers, and continued her interest in childhood education by getting an early childhood director certification. Sandy used her extensive knowledge and professional skills to benefit Brighton, Vista Ridge, and other RMC schools for the past twenty years. "The Commissioning service is a special recognition of service and dedication to Adventist education," Sandy Hodgson, VRA principal, said. "Ms. Sandy makes me happy when she plays games with me, and I'm happy that she taught me how to read," Renee Cline, a Kindergarten student, said about her teacher. We Are Not Immune and It Is Time to Come Clean » The world does not hold the corner market on sexual abuse, although news headlines of late would make it appear so. The fact is, the Church has a very real--and prevalent--problem with sexual abuse; by its members and by its leaders. Hence the new label #ChurchToo. I'm taking it a step farther and starting a new label, #SDAChurchToo. Why? Because for years I have heard the response, "this is a Catholic problem, you should be talking to them," or "this doesn't happen in the Seventh-day Adventist Church!" Oh, my friends, yes, it certainly does! It happens in every denomination and faith community, including our own. Truthfully, I had never heard of clergy sexual abuse (a term meaning abuse by someone in the role of spiritual authority, whether in a paid position, such as a pastor or teacher, or in a lay/volunteer position, such as an elder, deacon, etc.) 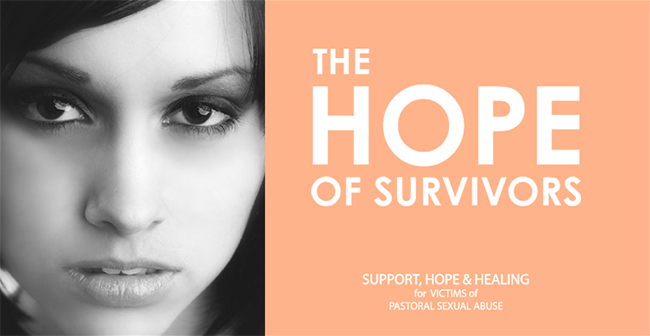 until after my pastor sexually abused me and then God led me and my husband on a journey of healing, followed by advocating for others who had gone through similar experiences. Yet, even though I had never heard the term before that (it is often mislabeled as an "affair"), I had encountered clergy sexual abuse in various ways. My guess is that you have too, whether you recognized it as such at the time or not. There was the well known and beloved popular pastor (now deceased) who was giving me Bible studies in preparation for baptism when he was accused of "kissing" a student at the college. He denied the claims. He started his own ministry and, believing that he had been falsely accused, we followed him. Years later, we learned the truth--there were multiple victims of his sexual abuse and it went far beyond kissing. The first Sabbath of every new quarter is designated as a day of prayer and fasting. The focus for our first day of prayer/fasting is "Interceding for our Families," and you will find GREAT resources at www.revivalandreformation.org. If the first Sabbath is not the best for you, why not try another Sabbath? You'll be blessed! Let's PRAY! No recordings will be made of this gathering, and since it will include an open session for everyone to share thoughts and experiences, we anticipate that it will be challenging and refreshing. 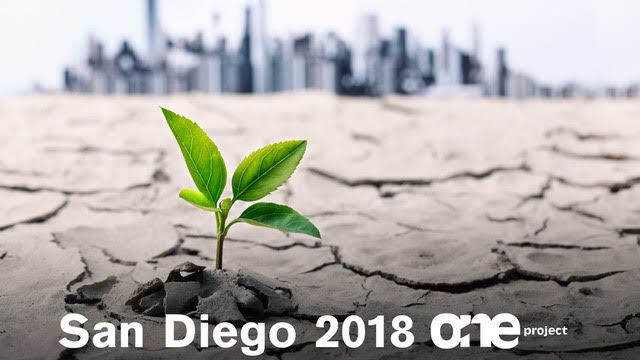 According to Japhet De Oliveira, senior pastor of the Boulder Adventist Church, and co-founder of the One project, "We invite speakers and participants alike to proclaim "Oh, How I Love Jesus!" Register at www.the1project.org before December 31 for the best prices. Prices increase January 1 and the gathering is likely to sell out. Pastor Ed Gallagher » Ed Gallagher, known to many church members in the Rocky Mountain Conference, passed away December 5 in New Zealand. He held several positions at Rocky Mountain Conference, including communication director and prayer coordinator. Our sympathies go to his wife Betty and family. Rice for Iraq » The Student Association at Mile High Academy is currently collecting rice to feed refugees in Iraq through Adventist Help. The Student Association’s goal is to raise 40,000 pounds of rice. With the help of our churches, we are hoping to reach this goal by the end of January. We are in the process of buying and cleaning out shipping containers that Adventist Help can use to store water once the rice is taken out of it. The school has currently collected over 3,000 pounds and is expecting to receive more soon. If your church is willing, we would love your help. If each church collected 5,000 pounds of rice we can easily reach our goal. Any collections that are made at the churches, our Student Association is willing to pick up and transport to the school for shipping. If you have any questions, feel free to contact Agape Hammond at 303-607-4915. Boulder Church » It's nice to enter the Christmas season with a feeling of peace. 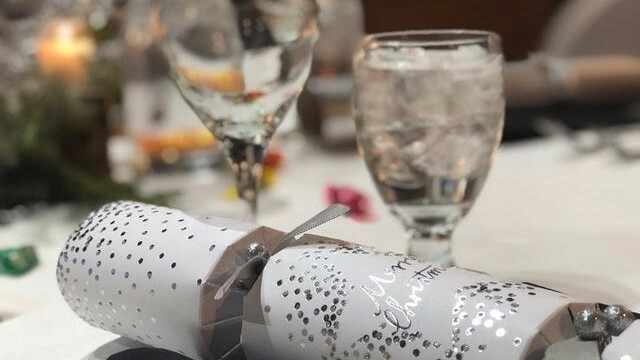 You may be wondering how such a thing is even possible, given the frenzied activities leading up to the holidays: shopping, cooking, traveling, finishing work assignments, taking final exams, writing papers, fulfilling a long list of social obligations. Take a moment to breathe--and to re-center your relationship with God for the holidays and the coming new year--by taking part in the communion service at Boulder Adventist Church this Sabbath, December 16. The ordinance of foot-washing begins at 9 a.m. Plan to stay for Bible study classes beginning at 11 a.m. to explore the themes uncovered in the current sermon series, "What Child is This?" 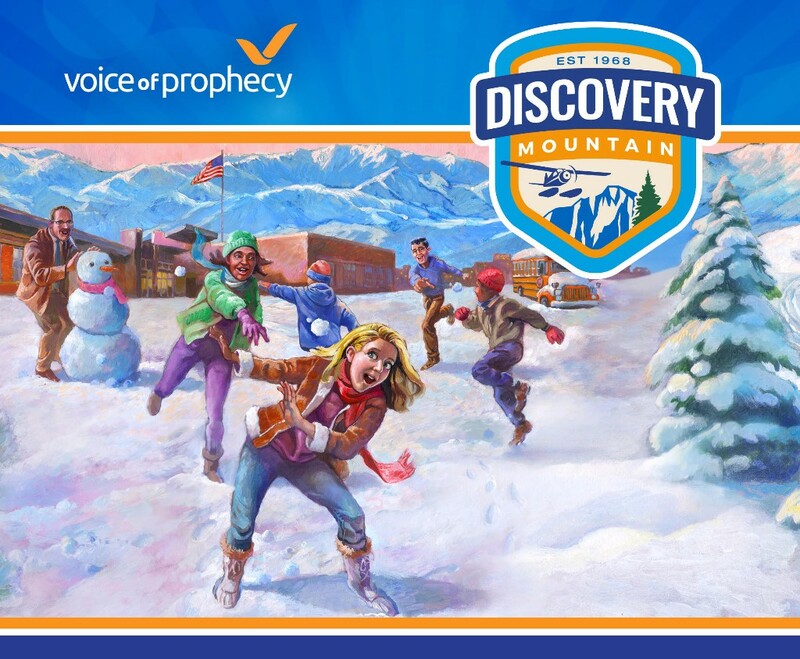 Discovery Mountain Returns With All-New Holiday Episodes » An all-new season of the Voice of Prophecy’s Discovery Mountain audio adventure series for kids has begun. This special six-part holiday season is called "The Perfect Gift," and it will immediately be followed by Season 4, which means there will be new weekly episodes through the end of July 2018! Discovery Mountain recently won the Award of Excellence as well as a Best in Class Award at the Society of Adventist Communicators. While Jean Boonstra has designed this Bible-based program for kids ages 5-12, people of all ages have been enjoying it, so anyone who’s a "kid at heart" is invited to listen. Stream the audio and enjoy behind-the-scenes videos and bloopers at discoverymountain.com, or download the first three seasons from your favorite podcast platform, such as iHeartRadio (just added! ), iTunes, Google Play, AudioVerse, TuneIn and SoundCloud. It’s perfect for long drives too! 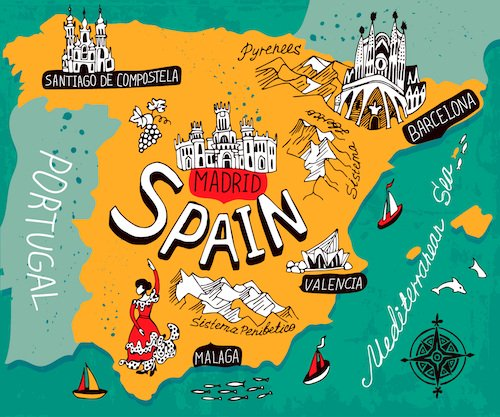 Campion's Study Abroad Trip » Reserve your spot now for the study-abroad trip to Spain next summer! Improve your language skills and earn college credits while immersing yourself in the beautiful and historical Spanish culture. The deadline for the initial down payment (chaperone fee) is due December 18. A minimum number of students must confirm and pay by December 18 in order to make this trip a reality -- so don't delay! Please email Jill Harlow at [email protected] for more information. Become a Warrior for Campion » Our mission at Campion Academy is to bring young people into our school family and not only educate them for the future, but train them as disciples for Christ. We cherish our students deeply at Campion and want nothing but the best for their futures. 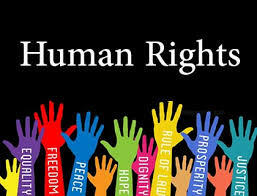 However, we cannot do this alone - we need your help! Warriors for Campion is a new campaign geared toward raising money for our Worthy Student Fund that goes to give students who cannot afford full tuition financial help. 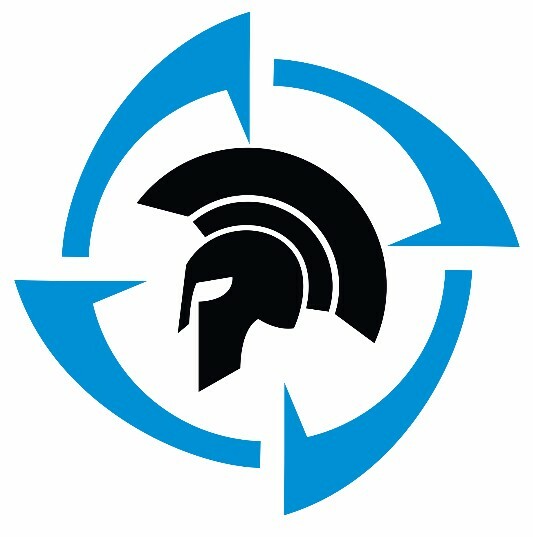 As a Warrior for Campion, we are asking for a pledge of $100 a month for the two years or $1,000 per year for the next two years. Golden Church » A New Year's Eve Communion Service will be held at 4 p.m., December 31. What better way to end the year than with a communion service? This is your opportunity to come worship God who sustained you throughout the year and to place yourself in His hands once again for the new year. Everybody is invited. Bring a friend! Mile High Academy Kindergarten Visitation » Kindergarten Visitation at Mile High Academy is a great way for your child to get to know our teachers, meet new friends, and get to know what a future at MHA means. Join us from 8:30 a.m. to 12:30 p.m. Thursday, January 11. Designed especially for any family who has an interest in MHA and would like to try it out for themselves, families are encouraged to spend the morning with us at our Open House to talk about the programs we offer, meet Administration, discuss the application process, and enjoy a continental breakfast with us. Your child will want to start school right away. For any questions about Kindergarten Visitation or the Open House RSVP to Agape Hammond at [email protected].